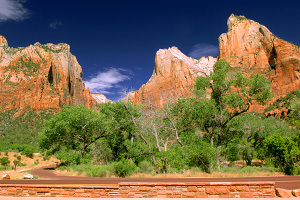 The Court of the Patriarchs is the 4th stop for the Zion Canyon Shuttle. 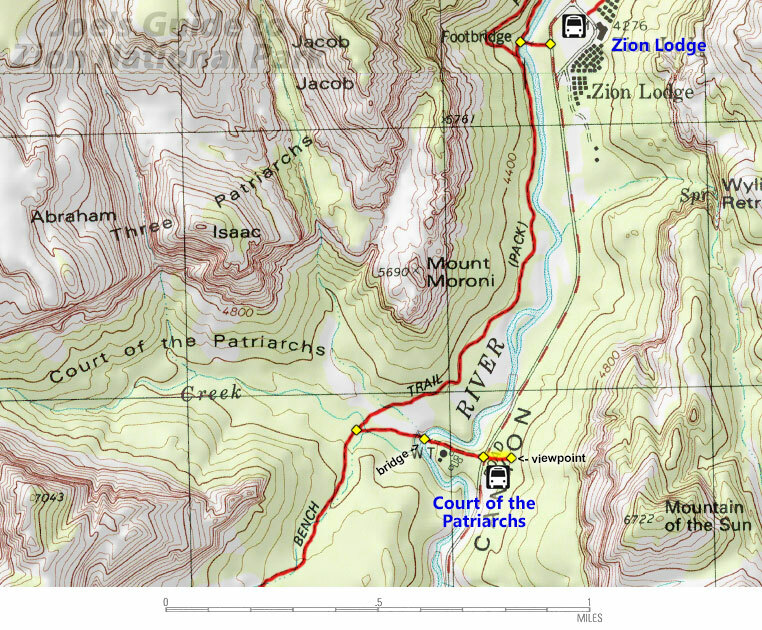 If this is your first trip to Zion, get off at this stop for a short diversion. A quick and easy two-minute trail takes you to a little viewpoint above the trees and offers a good view of the mountain formations across the canyon that are known as the "Court of the Patriarchs." This collection of peaks are individually named Abraham, Isaac, and Jacob, but two other formations named The Sentinel and Mount Moroni are also featured prominently from this vantage point.